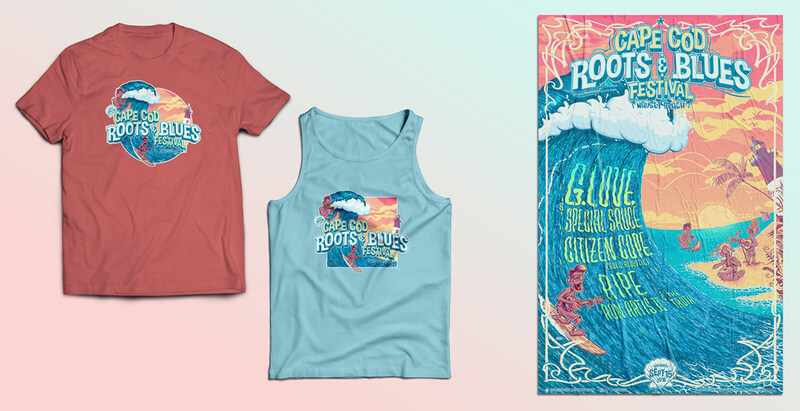 I was asked to create a rock show poster, corresponding merchandising items and the key visuals as well for G. Love’s first ever Cape Cod Roots & Blues Festival in Nauset Beach on September 15th, 2018. 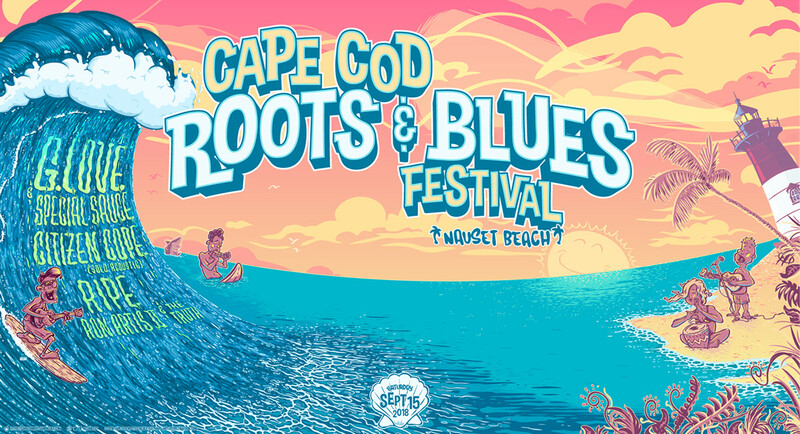 The new music festival celebrates family, live music, community and the natural environment of the Outer Cape Cod, Massachusetts. 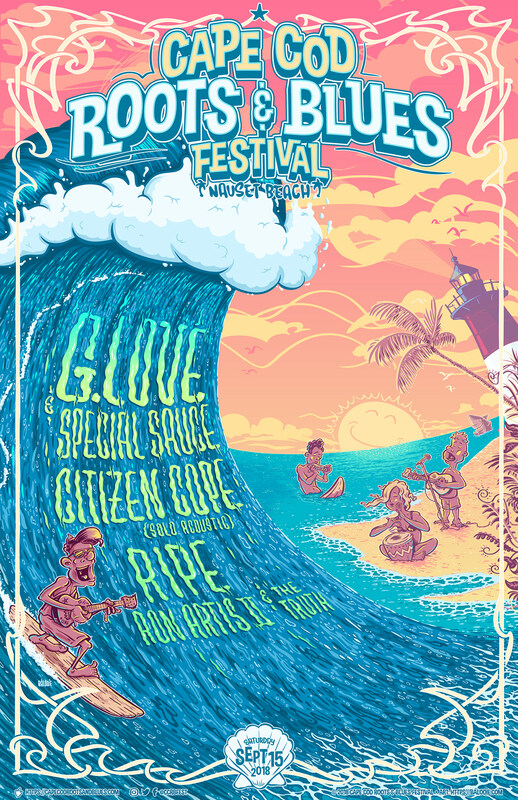 Please find an article by Jeff Gorra on Artist Waves for further info. 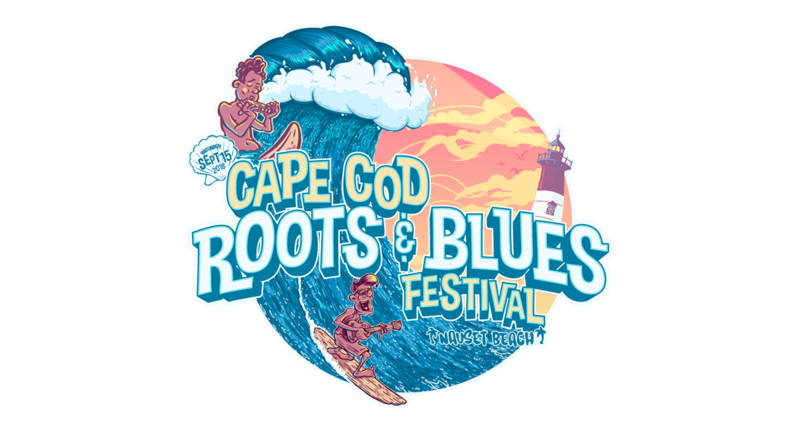 © 2018 Cape Cod Roots & Blues Music Festival and Bálooie. 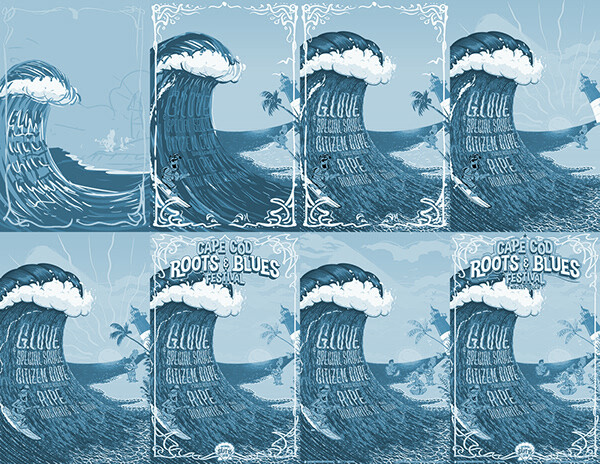 Credits: T-shirt, tank and poster mockups by GraphicBurger. 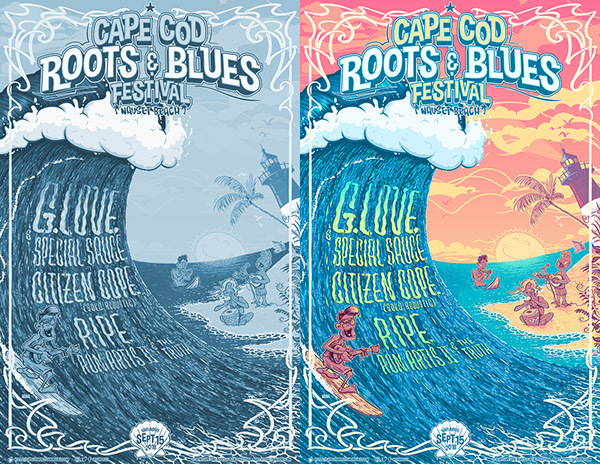 G. Love & Special Sauce, Citizen Cope, Ripe and Ron Artis II celebrated G.'s first annual Cape Cod Roots & Blues Festival in Nauset Beach together with 2.500 people. 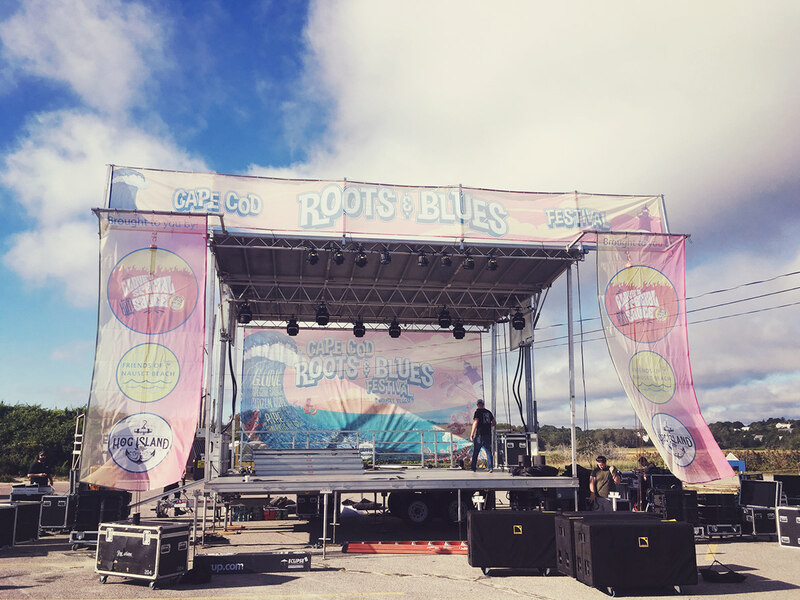 I was responsible to create the #ccrbfest show poster, corresponding merchandising items, some corporate stuff and the backdrop of the mobile stage. 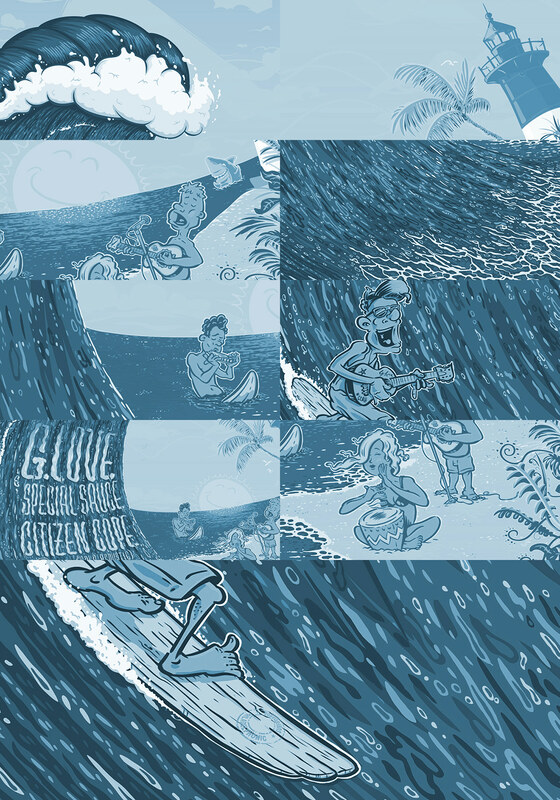 THX to the guys at Philadelphonic for the opportunity to work on such an amazing project!